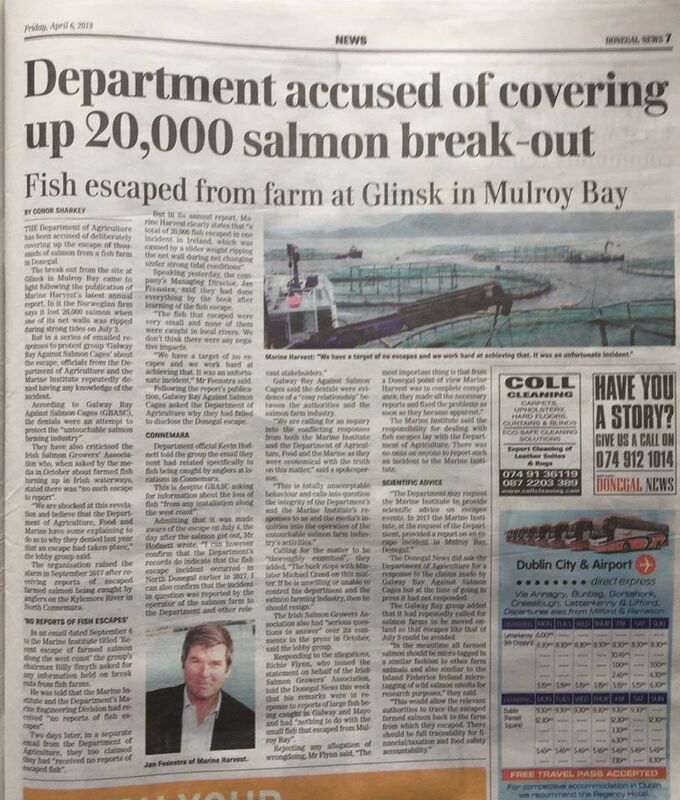 Another massive salmon farm escape 20,000 salmon this time in Donegal. 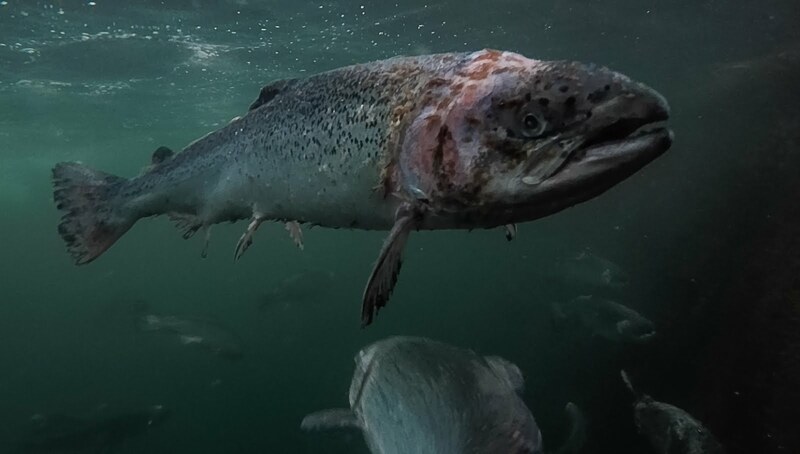 No one would have known except that Marine Harvest had it in their annual report for 2017 When farmed salmon were found in the Galway and Mayo rivers in Autumn last year. 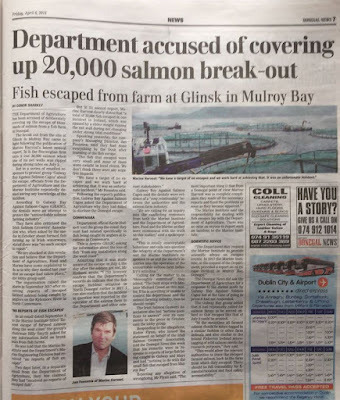 DAFM were asked if there had been any salmon escape off the west coast but they denied there was any escape now it seems Marine Harvest had reported this 20,000 escape last July. These salmon farms are totally out of control with massive salmon escapes practically every year. and now it seems DAFM think it's something we shouldn't know about. Why did they deny there was an escape?